We recommend storing Matcha in the tin in the refrigerator. 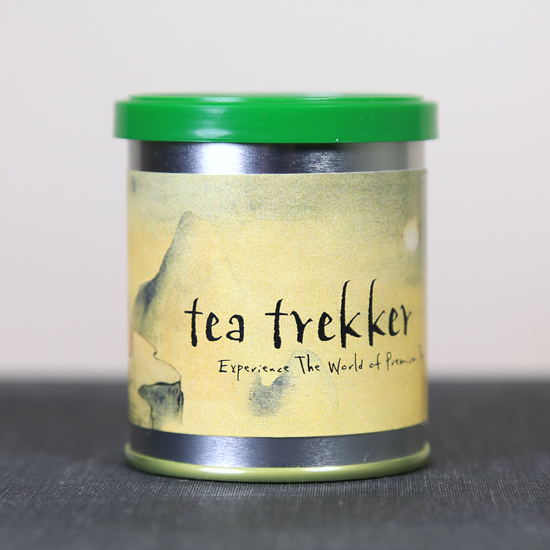 In fact, this is one of the few teas that we suggest storing in a cold environment. 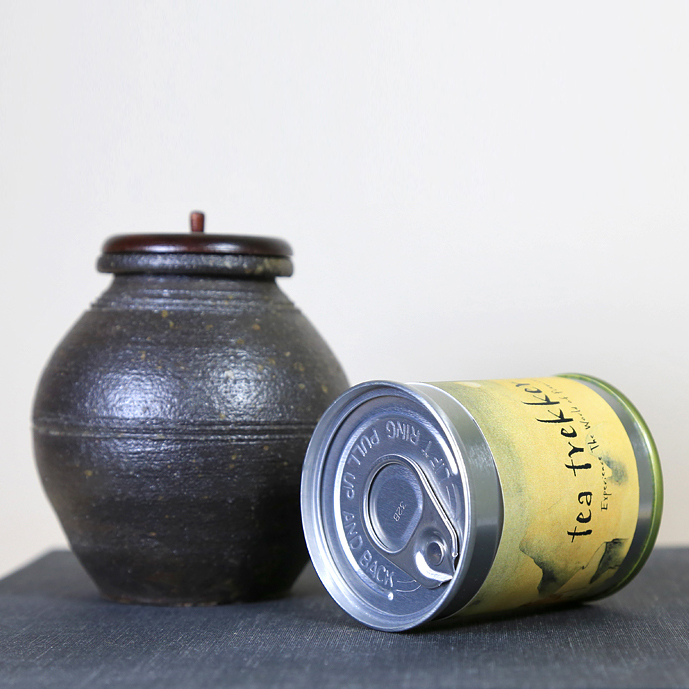 To maintain the freshness of Tea Trekker’s Matcha as best as possible, we have our Matcha producer in Uji, Japan put our matcha into protective tin containers with a screw top and an inner pull-tab seal that will keep the tea fresh before opening. Please store the container in the refrigerator in-between uses. We are thrilled to offer our very popular Matcha Premium – Kuradashi again this autumn!! During the 16th century Edo period, the Tea Masters to the shogun introduced a style of powdered green tea with a rich and profound taste. To achieve this taste the Tea Masters ordered that first flush tea leaves from the earliest spring pluck be carefully stored in elaborate, sealed ceramic crocks (cha tsubo) and placed in a special warehouse (kura) to mellow and enrich until fall. These warehouses were not refrigerated, but were located in places where the temperature remained cool, and the summer heat could not affect the ‘resting’ tea. The tea was stored until the weather turned cool at which time the stored tencha (tencha: the chopped and de-veined prepared leaf that authentic matcha is ground from) was removed from the warehouse and milled into matcha. Once the Matcha was ready for drinking in the fall, the cha tsubo journeyed to the shogun in a ceremonial palanquin and the tea was presented in a tea jar opening ceremony. Tea Masters also awaited the arrival of this special seasonal Matcha which was essential to their teaching. Our Matcha Premium – Kuradashi is considered an aged tea, and is quite different in taste from our spring released Matcha Premium – Shincha. Matcha Premium – Shincha is bright, fresh and pungently vibrant in taste; Matcha Premium – Kuradashi acquires a smooth, rich and full taste from its leaf’s pre-milling 6 month resting period. Matcha Premium – Kuradashi is made by only a few matcha producers today who follow the old ways of yester-year in the storage and preparation of this distinguished matcha. Matcha Premium – Kuradashi requires constant attention to all steps of the process and at all times during the aging, as the tencha can easily degrade from being a fine tea to something lackluster. It is because of the extra attention this processing requires that few matcha producers make Kuradashi tea today. From proper shade cultivation under a tana trellis to careful hand-plucking standards, to an understanding of which tea bush cultivars will improve with time and aging to yield a noble & enriched tencha is absolutely necessary. Storage procedures must encourage the stored leaf to improve and not simply ‘hold’, or worse – deteriorate. Our friend Mari, who is an Urasenke tea teacher in Kyoto, waits for Matcha Premium – Kuradashi each fall because for her this is the traditional old-style of Matcha that she first used when she studied Chanoyu and that she still prefers. This Matcha has a creamier, richer taste and the body is full and deep. She made a bowl of Matcha Premium – Kuradashi for us when we last visited with her in Kyoto and it was heady and creamy and soft and rich. Today, the tencha milled into our Matcha Premium – Kuradashi tea is stored in a special temperature-controlled refrigerator at the tea factory. To emulate the natural cool temperature of the old warehouses (kura) the tencha is stored in open, unsealed foil bags in circulating air that is somewhat cool, but not too cold. A flow of fresh air constantly circulates through the refrigerator, allowing oxygen to mix with the tencha. In this way, the tea leaves are allowed to breathe over time and enrich. When the time for milling arrives the tencha is slowly ground in a granite stone mill at a moderate temperature which deepens and settles the taste of the Matcha.